First you need to add friends (Adding Friends Guide). Do you need friends? Let's make them here on Forums or ingame via private messaging. 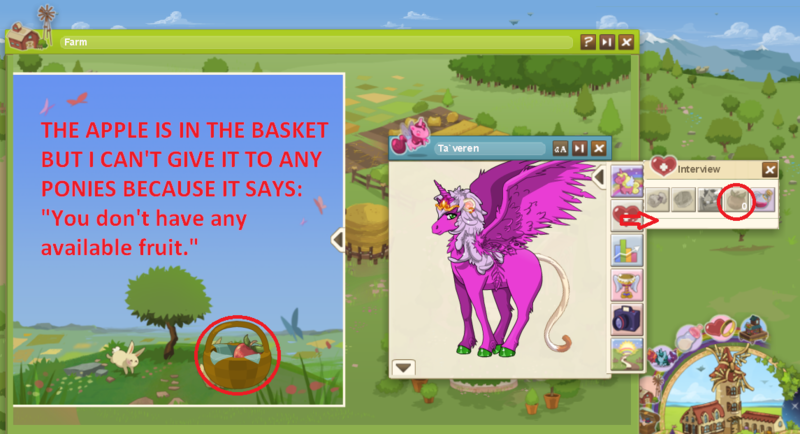 Go to one of your or your friends pony (visit your barn / their herd), click on the interview tab and give them the fruit. 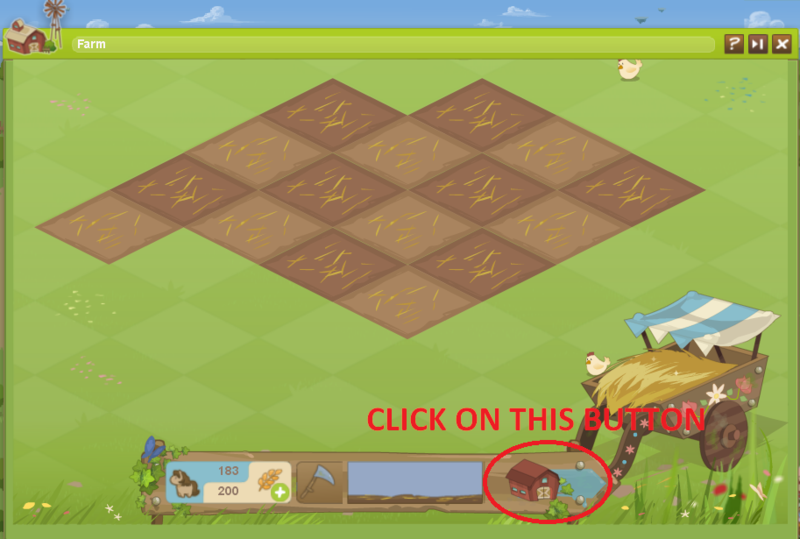 Drag and drop the apple to feed it to a pony. Well I can't give that poor apple to the ponies... It could be a bug tho it's not working on my other account neither. Help would be greatly appreciated! 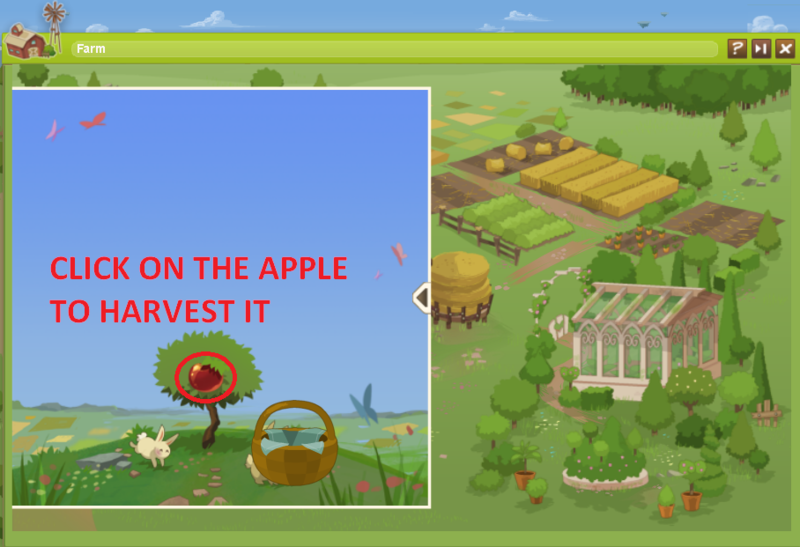 EDIT: After circa 30 minutes my harvested apple disappeared from the basket, but the 'Give your pony a fruit' button remained blank. I hope I could help to those who didn't find that tricky tree. If you have any questions feel free to PM me here or ingame or add me to your friend list. The tree is not clickable until you reach the quest for using the Friendship Tree. Be sure to work on those to be able to open up the tree. My mod voice is Turquoise, stone hard and mystical. Have a question Read the Common Player Questions for the fastest answer. I have a question about the friendship tree. I have read before in the forum that you have a "friendship tree level" or something like that. In that case, how do I know about wich level i am on? And if it's not levels, what is the ponit with that tree except getting 3 coins? Correction: You get 4 coins. I came here to see if this would answer my question, but it didn't. 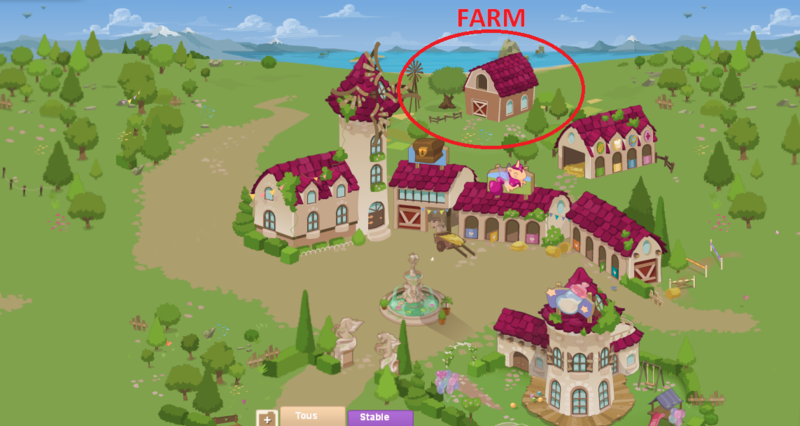 When you look at the box with the fruit in it that is next to your pony, there is a small 1 (or 0) in the bottom right corner. 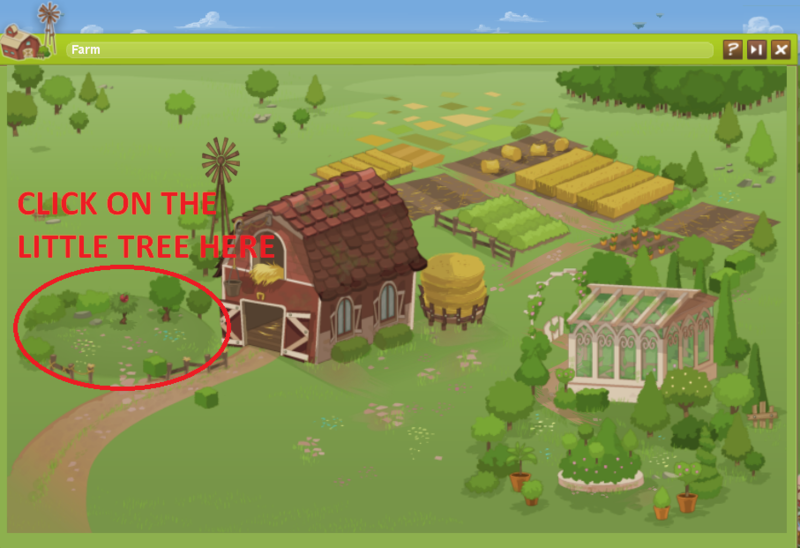 This leads me to the conclusion that your tree can grow bigger and produce more fruit per day, and also when you look at the outside of the farm (not in the window that pops up, like to the left of the farm in the first picture) there is a large tree. If your tree can grow bigger, I'm guessing you make it grow by reaching a certain number of friends, or by feeding a certain amount of fruit to other peoples' ponies, or perhaps a combination of the two. So my question is, how do we make our trees grow, if they can? It's always looked like the tree could get more apples to me, too, but so far they haven't made it possible yet. there could be 1 apple for every 10 fields owned. on a totaly unrelated note: no, i will not stop with the puns!MWAHAHAHAHAHAHA! you should get a bigger tree with more valuable apples when having MORE friends.